Reddit is a football-memorabilia genie. Yesterday, in the NFL thread on Reddit, a user uploaded an image with the headline, "My reddit secret santa amazed me [sic] this last year, however no one seemed to care." 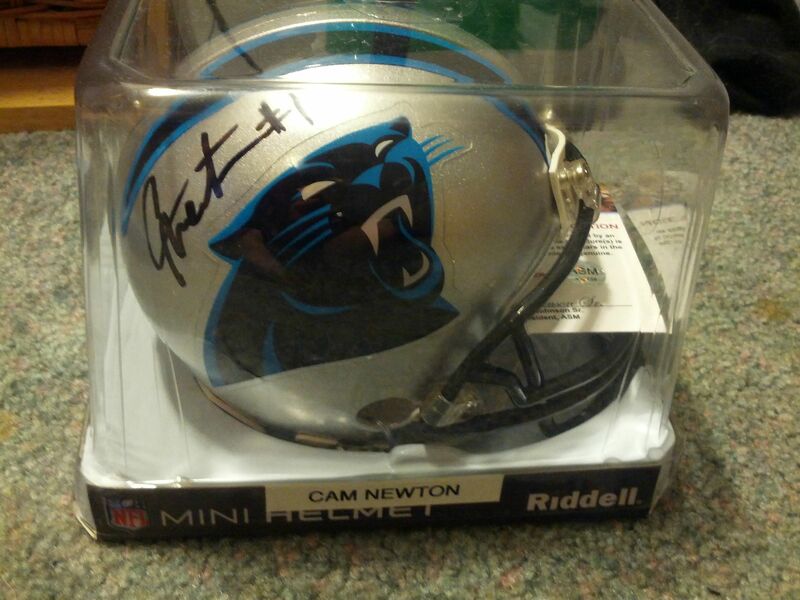 After seeing the Cam Newtown-autographed mini helmet, another redditor somewhat sarcastically responded: "Nobody ever sends me signed Carolina Panthers helmets." And because the internet is (occasionally) awesome, the Panthers' verified account swooped in a couple hours later, like some sort of summer Santa Claus, asking "how about a signed football? PM us your info." And they actually sent one! According to the verified account, it's "a vintage ball signed by what looks like members of the 2007 squad."